As my friends and I walked along. Oh that beat, to a great, great song. That we learned comes once a year. They just knew, that they had to be there. They were moving their feet. Just grooving to the beat! Much more than we could hope. 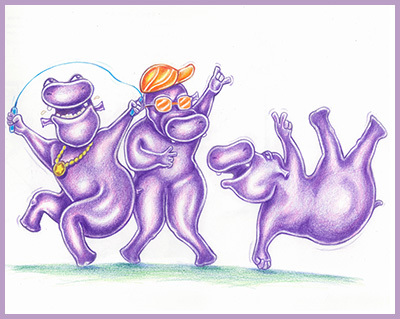 Hippos dancing and jumping rope. People ask, where’s the photos? For a tradition so long and proud. That no cameras were allowed.